As part of activities to mark this years International youth Day, World Vision hosted a YouthSpark Conference. World Vision, new implementing partners of Tizaaworks held an event to mark International Youth Day in Accra, Ghana. TizaaWorks is a Microsoft YouthSpark and Microsoft 4Afrika Initiative introduced by Microsoft Ghana. 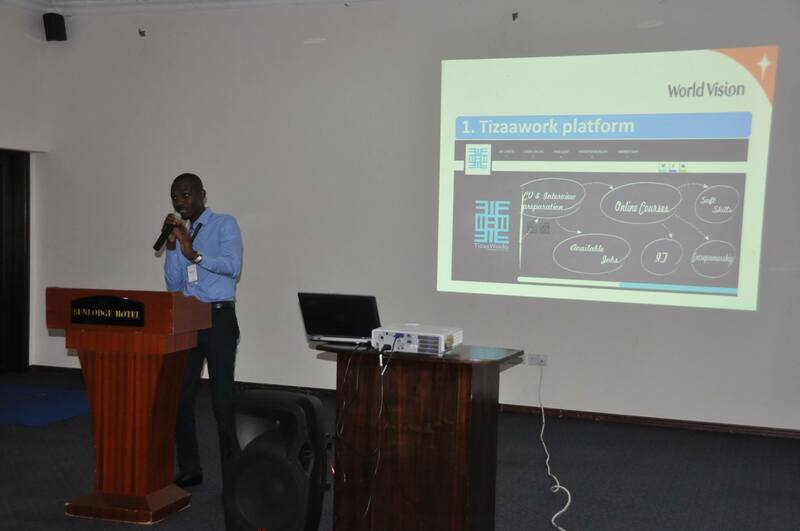 TizaaWorks is an online platform for employability and entrepreneurship. It helps equip young graduates and school-leavers with the right employable skills to prepare them for the job market. That’s hard and soft skills to bridge the skills gap and secure first-time job opportunities. It also provides career guidance and resources for those wanting to build their businesses. The platform offers information on personality assessment, virtual interviews, CV writing, business idea pitching, writing cover letters, job vacancies and free online courses. The YouthSpark conference featured a presentation on the Sustainable Development Goals, a training on entrepreneurship, poetry, choreography and music. Here are some pictures from the event.